Tired of being cooped up? Us too. It’s time to start thinking about, Saweeet – Summertime! Check out North Iowa’s can’t-miss summer events! May 4: ‘May the 4th be with You’ – Star Wars themed, Free Comic Book Day at Oak Leaf Comics & Collectibles is a fun day for the whole family! Receive a free comic book, sign up for door prizes, play on the inflatables and much more! May 4 & 5: Ever wondered what a llama is really like? Now is your chance, see a llama, take a llama for a walk – heck, you can even kiss a llama at the Heartland Llama Show at the North Iowa Events Center. May 5: Kinney Pioneer Pork BBQ Cookout is always a fun day well spent. Old fashioned barbeque with live music and craftsmen exhibiting their arts. Fun for the whole family! May 21 – October 18: The North Iowa Farmers Market is held Tuesdays & Fridays at the corner of 1st St. NE and S. Delaware (just south of First Congregational Church) in Mason City. The Market offers the very best of local produce, baked goods, meats, artisan products, gluten-free goods, flowers, honey and much more. May 23 – May 26: Join the thousands of country-loving visitors who take over North Iowa for the Tree Town Music Festival held in Forest City. The Tree Town Music Festival is one of the top ten best country music festivals in the United States! Don’t miss the four-day festival and the biggest party in the Midwest featuring Dierks Bentley, Jake Owen, Toby Keith, Trace Adkins, Lauren Aliana & MORE! 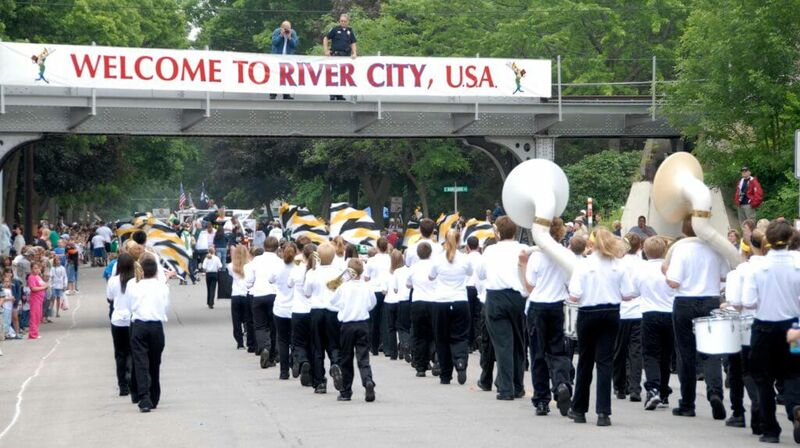 May 24 – May 28: Held annually, the 81st North Iowa Band Festival honors Mason City native, and Broadway Music Composer, Meredith Willson’s-life and love of music. The 3-day festival includes free musical entertainment, carnival, marketplace and the largest free marching band competition in the Midwest. 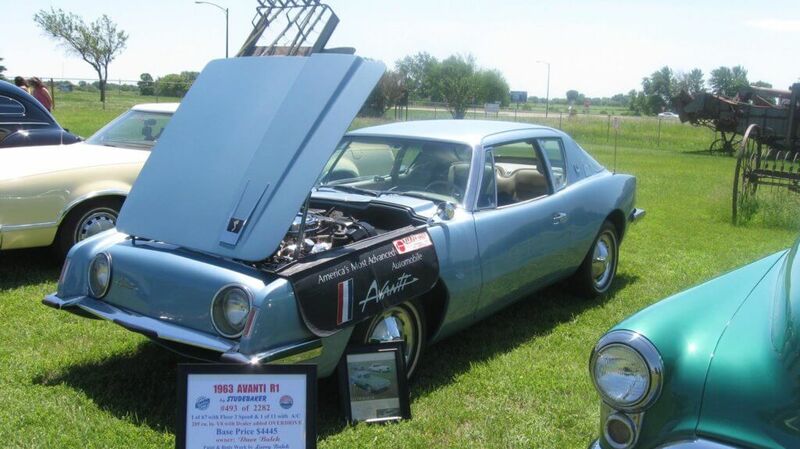 June 1: Come out to the North Iowa Events and check out vehicles up to 1959, 1960 to 1969, 1970 to 1979 and 1980 to present at the River City Street Rods Custom Car Show. Over 100 trophies will be award including specialty trophies for Best of Show, Best Engine, Best Interior, Best Paint, and Club Ladies Choice. June 2: Vintage cars line up the front lawn of the Kinney Pioneer Museum at their annual, Vintage Car Day Celebration. Enjoy refreshments, music and other family-friendly activities throughout the day. Thursdays: June 6 – August 29: Make your way over to the Lake for Clear Lake’s weekly celebration, Thursdays on Main. FREE Live music, featured entertainment, classic cars, a bounce house, hand-powered kiddie train rides, shopping, vendor street market, outdoor movie and more! June 7 & 8: Take Me Back Festival at PM Park in Clear Lake features two nights of live music entertainment. Friday night jam-out with the Johnny Holm Band & Saturday, the Jesse Allen Band, Farm Rock and others TBD. June 8: Free pancake breakfast, crafts, inflatables, live music, an outdoor art market, and more at the MacNider Arts Festival & Outdoor Art Market Celebration. Saturdays: June 8 – October 19: Healthy, fresh produce and handcrafted products are available to shop at the Clear Lake’s Farmers Market at the Surf Ballroom parking lot in Clear Lake. June 15: OPA! Be Greek for a day, and join in on the festivities at the Annual Greek Festival located at the Orthodox Church grounds in Mason City. Greek food, beer & wine, Greek dancing, bakesale and much more! June 21, July 26, & August 16: Friday Night Live is a FREE outdoor concert series in Downtown, Mason City. Inflatables, food vendors, beer garden and much more! Entertainment lineup will be announced soon! June – August: Two Saturdays a month (dates TBD), free showings of Moonlight Movies are held at the outdoor Bandshell in East Park. Pre-movie activities kick off the night at 6:30pm, with the movie starting at dusk. July 3: Fireworks at Mohawk Stadium in Mason City! Gates open at 6pm, with the Mason City Municipal Band starting around 9, fireworks to follow. 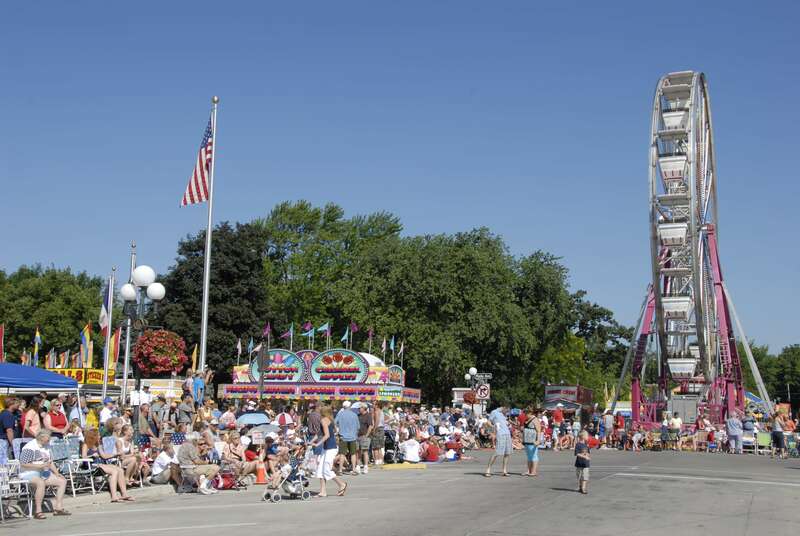 July 3-7: 4th of July Celebration in Clear Lake, the 4-day festival includes a midway, amusement rides, bingo, huge open-air vendor market by the lake, live music nightly in the bandshell, a traditional Independence Day parade down Main Avenue, and the biggest and best fireworks display in the area over the lake on the 4th! July 4: Watch the amazing fireworks from the Lady of the Lake – when you join them for their annual Fireworks Party Cruise! Cruise includes food, live entertainment, door prizes and a cash bar. Lady of the Lake docks following the fireworks. July 4-6: Don’t miss The North Iowa National Tractor Pulls in Rockwell, Iowa. 3 days of action packed sessions featuring Grand National Super Farm, Region V Four Wheel Drive, Region V Limited Pro Stock and much more! Kiddie Peddle Pull takes place on Sunday. July 5-6: Registered participants will enjoy a weekend full of steak competition – registration includes 2 ribeye steaks during the 3rd annual, River City Steak Challenge. Kids hot dog challenge (open to the public) will take place at noon on Saturday. July 12-14: Cyclists ages and abilities are invited to combine their love of cycling with this annual weekend event, Bicycle Blues & BBQ. Festivities include free blues music, a variety of cycling related vendors, and delicious BBQ. July 13: Craft beer anyone? 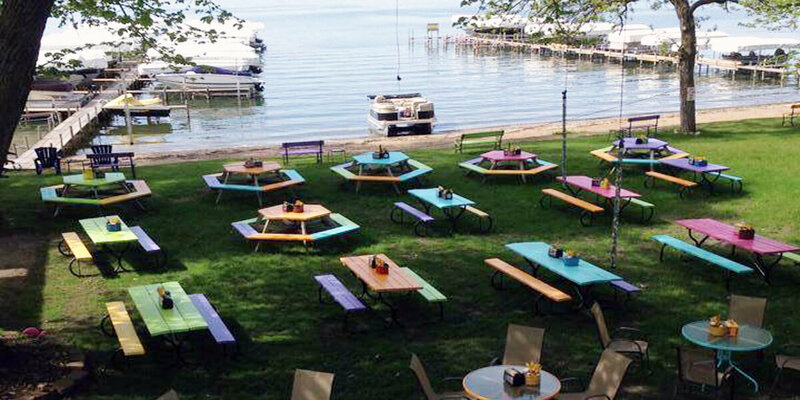 Brews on the Beach held along the shore of Clear Lake features 25 Iowa craft breweries serving their finest brews. 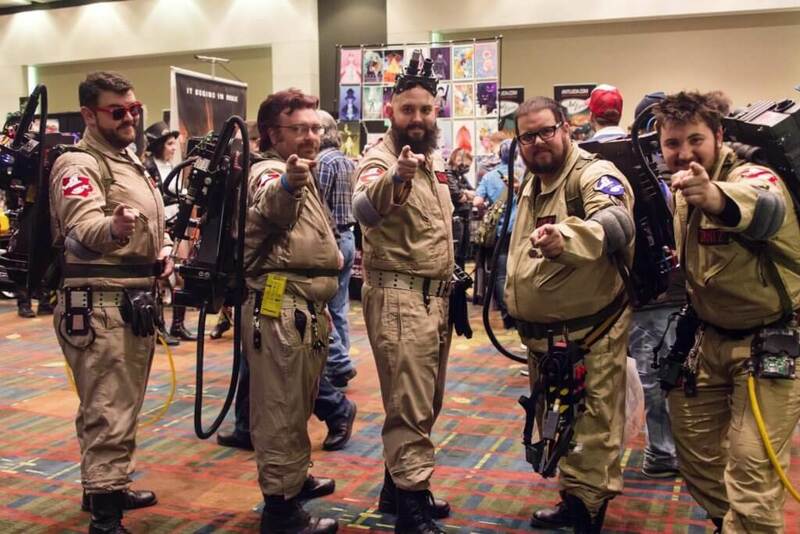 VIP ticket holders gain access to the event an hour earlier than the general admission. Space is limited to 850 attendees so make sure get your tickets early as this event typically sells out. July 14: Special displays and live music will entertain guests during the Kinney Pioneer Museum’s annual, Homemade Ice Cream Social. July 18-21: Come out and join the fun with four days of FREE family entertainment during the North Iowa Fair! FREE admission, live entertainment & music, exhibits, livestock shows, hot air balloon rally and much more! July 27 & 28: Toe-tapping traditional Dixieland Jazz will be performed during Lakeside DixieFest in Clear Lake’s City Park! This two-day event features professional jazz bands performing free outdoor concerts for all to see! 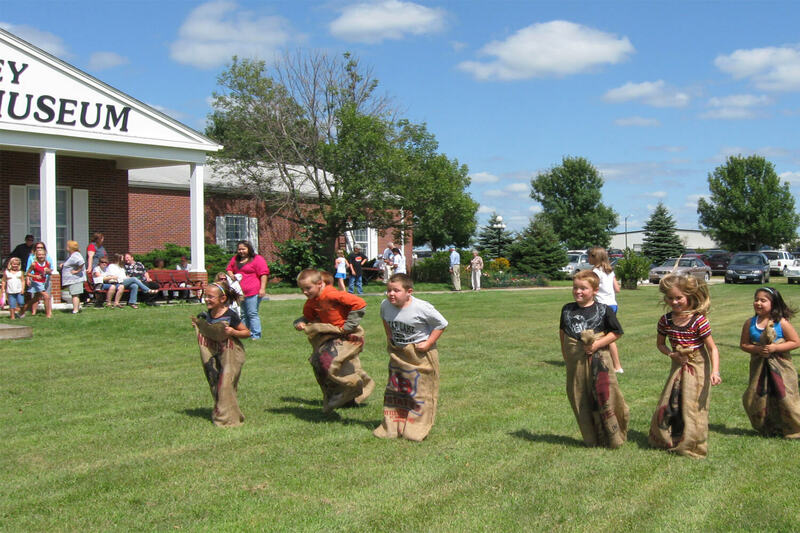 August 4: Join the Kinney Pioneer Museum for Kids Day, a special day dedicated to pioneer type children activities. Festivities include indoor and outdoor games, hands-on activities, face painting, music, gunny sack races, rope making, magic show, & more! Cook your own hot dog and marshmallow over an open fire. August 17: Shopping & food vendors, informational booths, live entertainment and more at Mason City’s second annual, Pride Festival. Festivities take place at East Park in Mason City. August, date TBD: The shindig, a festival of beer, food and music! The annual, Craft Beer Shindig & Street Food Fair features over 40 beers on tap, 20 food trucks and vendors; ciders, wine, local and regional musicians and much more at this outdoor festival held in the beautiful East Park. This event is held in conjunction with the North Iowa Spin Cannonball Cross (August 31 & September 1).